Lawmakers renew their push to educate women about cervical cancer, this time without a mandatory vaccination requirement. 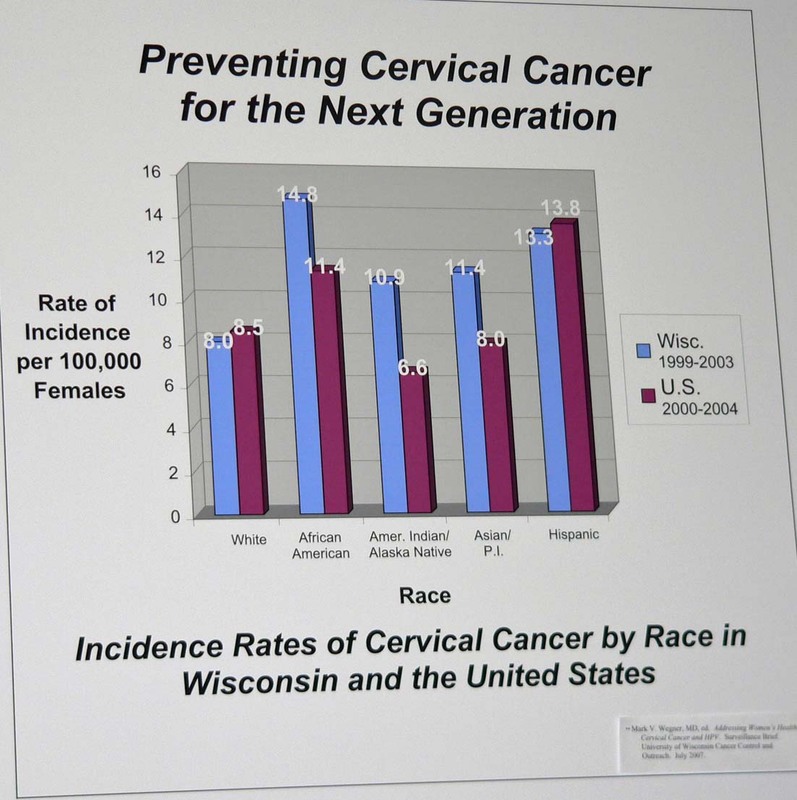 Democratic Senator Lena Taylor (D-Milwaukee) is introducing the Cervical Cancer Education and Prevention Bill, trying to get the state Health Department to educate schools and parents about the importance of getting young girls vaccinated for the Human Papilloma-virus (HPV) . "Women need to know that getting vaccinated, having regular pap smears and receiving treatment early can get them almost a 100% chance of never having cervical cancer." Last year the FDA approved the HPV vaccine for girls between the ages of 9 and 26. Republican Representative J.A. Hines (R-Oxford) ("Doc") says he signed onto this bill because it&apos;s important for the state to make sure people have needed information about HPV. "By providing parents with information about the HPV virus, how it spreads and information on the availability and effectiveness of the vaccine, we can eventually prevent thousands of women from suffering the awful consequences of cervical cancer." Worldwide, cervical cancer is the second-leading cause of cancer deaths among women. 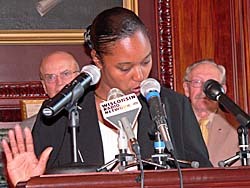 Tamara Grigsby (D-Milwaukee) (pronounce Tamara) says each year, about 10,000 cases of cervical cancer are diagnosed in the US and about 4,000 American women die from the disease. Wisconsin Family Action approves of this new bill. President Julaine K. Appling says this revised version provides information and education rather than mandating the vaccine for all 6th grade girls in any Wisconsin school. Another feature Appling likes about the bill is that it requires HPV information and recommendations from the Centers for Disease Control . The CDC clearly notes that abstinence is the only 100-percent effective way to avoid contracting HPV.